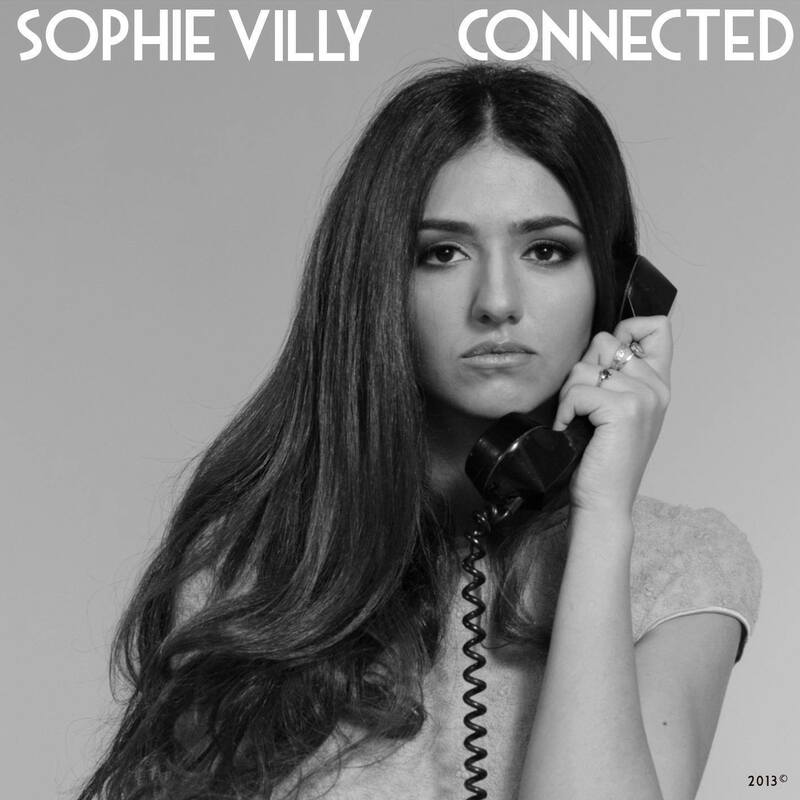 I first learned about Sophie Villy following an article from Guardian Music called “Six must-listen new tracks from around the world” where her song ‘Connected’ (reviewed below) was chosen as one of the six songs. 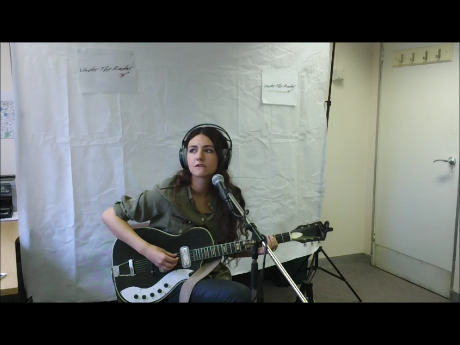 This led to an unexpected but very pleasant opportunity to welcome Sophie to our studios for a live session during her maiden visit to London back in February of this year. Born in Tbilisi, the capital of Georgia in the far eastern end of Europe, Sophie has been singing since she was three. Her music is “inspired” by her designer mother, Mila, and influenced by her musician father, David, who used to gather an intimate circle of friends for regular sessions in his “Music Lair” – a room smelling of “autumn, wine and cigars” – at their home. 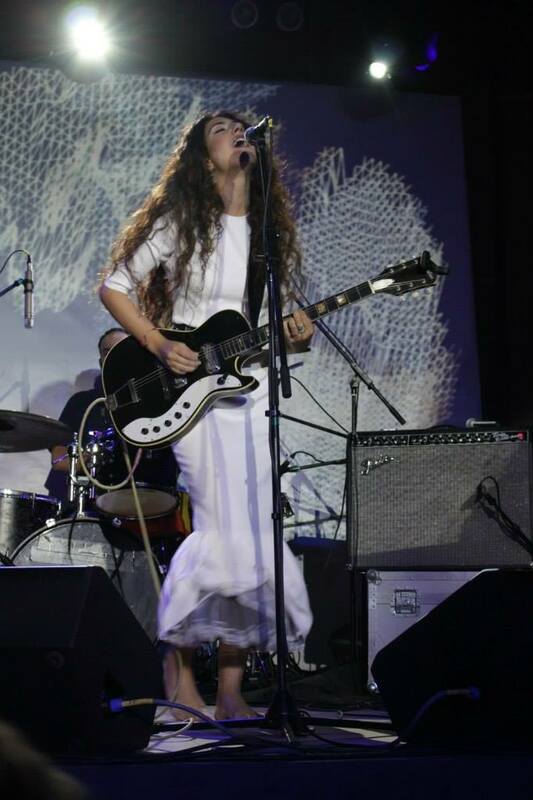 She started writing songs at the age of 14 and at 16, while studying tourism at high school, Sophie began performing in local clubs with her good friend and talented guitarist Irakli Metreveli, doing covers and original work. Her second album, ‘Dress,’ is an eclectic collection of twelve lyrical tales taken from real life experiences which consider and reflect a modern reality. Sophie sings about things that really matter to her, not just love, the weather and flowers, but real life topics which affect us all in a deep and very meaningful way. Her voice is pure, sincere and husky. Recorded in an old Georgian film studio – and with vintage analogue equipment – ‘Dress’ has all the hallmarks of becoming an iconic album and it is certainly worthy of occupying a place in all music connoisseurs album collections. I have picked four tracks which caught my ears, but in fairness, I have to say each and every track has its own charm, its own magnetism, and its own charisma. The opening track, starts with interesting, almost tribal percussion, which is soon joined by a very soulful piano and a mellow cello. Just as your ears start to embrace this cacophony of sound, Sophie’s sultry and husky vocals join in and add an element of uplifting melancholy. Her tone is gentle, melodic and she sings with an indescribably delicious accent which has strong Mediterranean, Arabic and Georgian tones. This already very likeable song is further lifted to new levels by the addition of a distant, solemn and rather magnificent trumpet. No wonder this song has received much global attention. Greets you with a mellow jazz piano introduction. 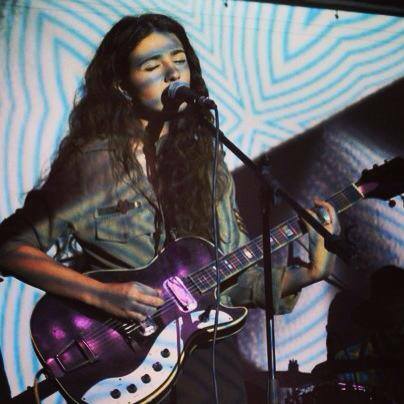 Sophie’s voice is gentle and almost spoken, although she is singing the slightest of melodies. The song is magnificently produced with rich bass, and blends from mellow jazz to very contemporary prog rock which is marked by the distinctive sound of drums and piano, characteristic from this genre. Opens with a gentle but suspense-driven string arrangement. Sophie’s voice delicate and husky as always is accompanied by more strings, adorned with her signature vintage guitar and marked by a pulsating funky bass. Towards the end of the song the tempo slows right down and the bass becomes less funky and more soulful. This is a classy composition expertly produced to a very high standard. This is a very iconic track, driven by Sophie’s deliciously retro vintage guitar which cries 100% blues and easily transports you to a set from a Tarrantino movie. Her voice is fresh, always delicate and husky, yet it could easily be Jagger’s or Dinah Washington’s. This is another classy tune expertly composed, and delivered in a totally original, engaging and unforgettable way. In this audio clip, Sophie reveals how she transitioned from a high-diver to a singer song-writer.